Resource center﻿ / what is saas cmms? What is Software as a Service (SaaS) CMMS? A SaaS CMMS means that the maintenance management system and its data are hosted by the software vendor and all functions of the software are accessed through an internet browser e.g. (Internet Explorer, Firefox, Chrome etc.). Other names for this are cloud-based software or software on demand. Software that is hosted on vendor servers is the newest method of delivery. Before, you would have to do an install via a CD or by downloading software files. Using software that is browser based and hosted by the vendor makes it easy for everyone. You will be able to access your CMMS where ever you have an internet connection and the vendor will be able to release updates a lot faster and easier. If you are in the market for a computerized maintenance management system a SaaS CMMS is going to be your best choice for setup, ease of use, and support. 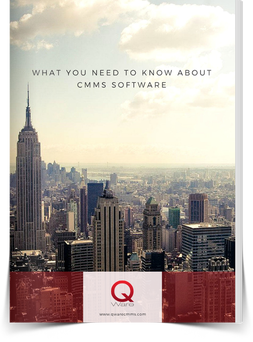 If you want to learn more about CMMS software download our free CMMS eBook or go to our webpage, What is CMMS Software? We also offer a guide that explains how SaaS CMMS software pricing works which helps you to determine the best pricing method for your organization.